Summit National Bank is a bank with a rural focus that is committed to being a driving force of support in their communities. 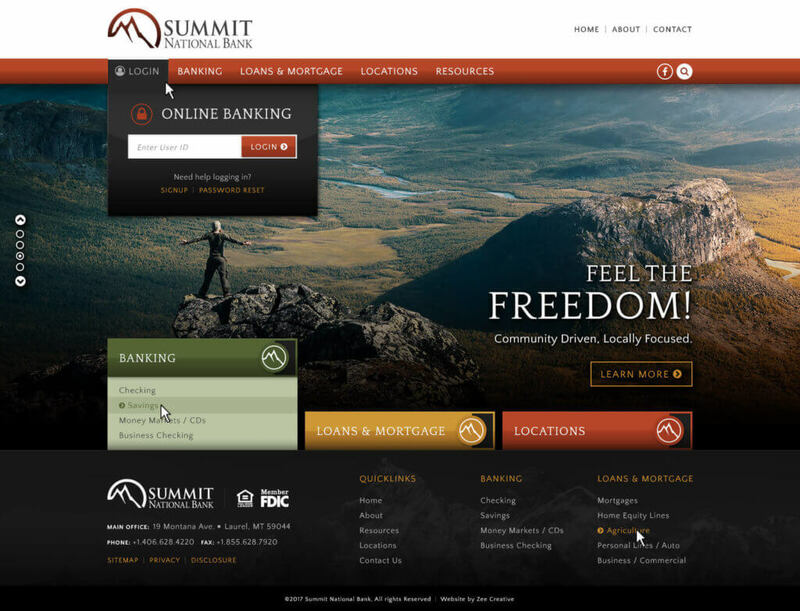 Summit was looking for a clean, modernized look for their website to coincide with the release of their new mobile-friendly online banking platform. 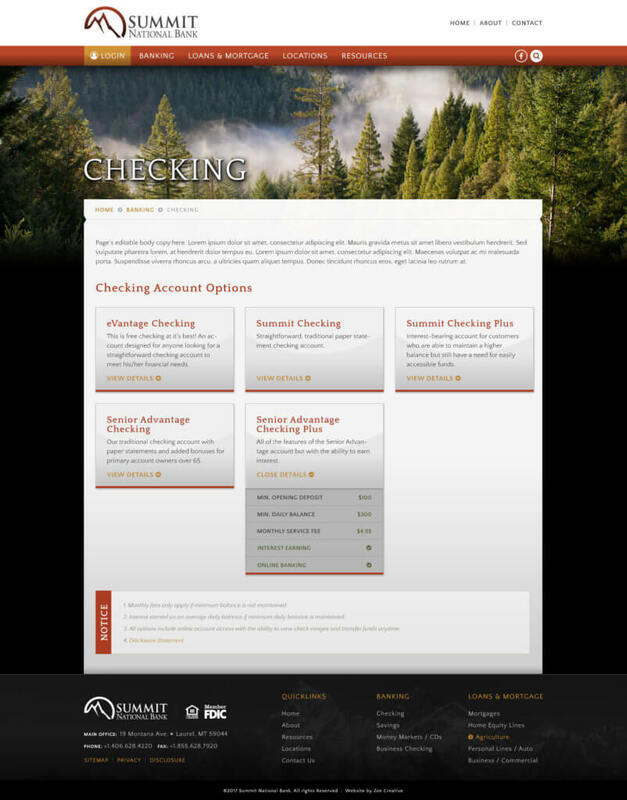 Zee created a fresh, image-rich, design with a spotlight on ease of use and looking great across all devices. 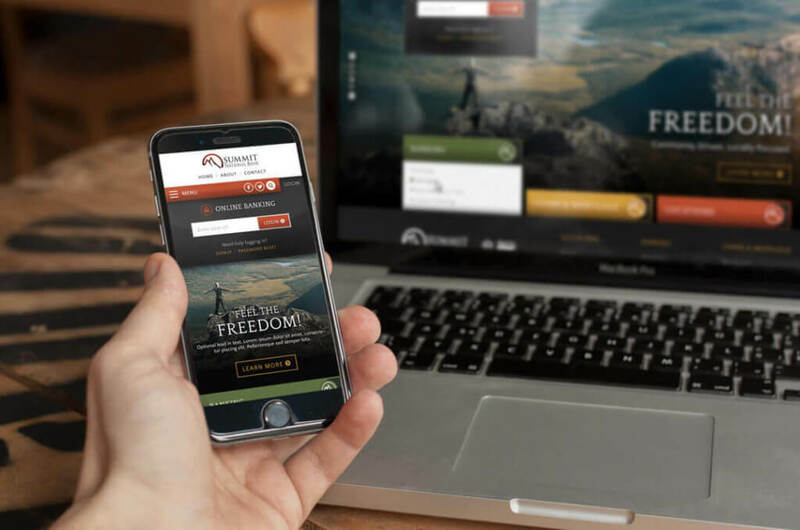 In addition to the website, Zee was also tasked with creating a suite of matching digital ads to run in conjunction with the launch of the new website.